Scion of the legendary haggis makers, Macsween of Edinburgh, Jo Macsween is a food lover, blogger and passionate ambassador of the haggis. 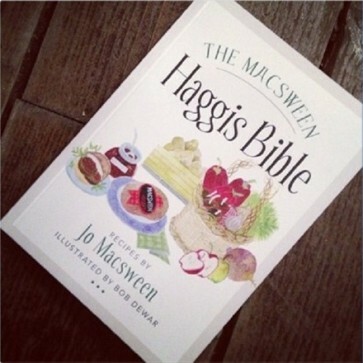 In her book, The Macsween Haggis Bible you are given the low down on all things haggis - from the traditional Burns' Supper fare to using haggis as an everyday ingredient. Her fabulous recipes will really whet your appetite.